The one clear downside from drinking rather than eating fruits and vegetables is the loss of fibre and other nutrients found in the skin and pulp. 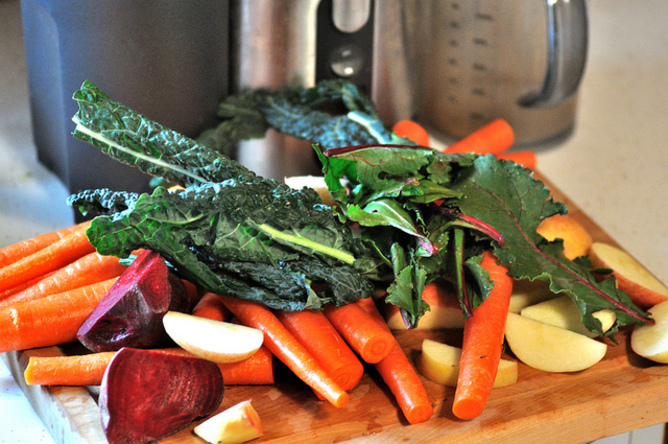 Flavonoids are lost in juicing. 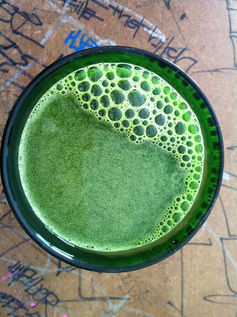 One other potential downside is that juice is not as filling as eating solid food. And it’s easier to drink the equivalent of many pieces of fruit in a few seconds when eating the same amount would take a lot longer, meaning there is more chance of over-consuming unneeded kilojoules. Where it gets interesting, though, is that the people who ate solid fruit before the test meal ate significantly less food than those who drank the juice. Eating whole fruits and vegetables helps keep appetite in check by making you feel full.